The Tackle and Bates Shop is managed by Alex Bates, who as well as being an established match angler, he also has over 14 years angling retail experience under his belt. This is Tackle & Bates third year trading at the fishery and the store is now a local Mecca for local and travelling match, coarse and specialist anglers looking for top quality fresh bait and good levels of products that we as anglers always seem to need for our next session. To find the shop, it is adjacent to the Rookery Cafe, which can be found by following the entrance track to the very end, and the entrance to the shop is at the front, left of the large black building (pictured below). 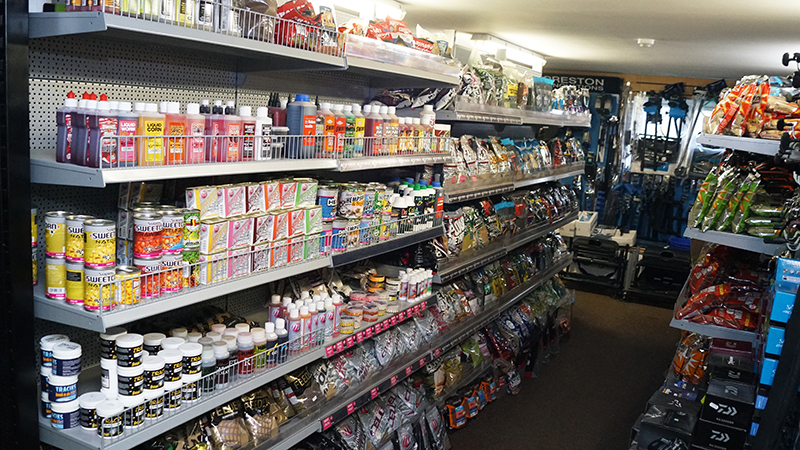 We have in stock an abundance of products to cater for all aspects of course angling, whether you are a beginner or highly experienced, we’ll have what you need! 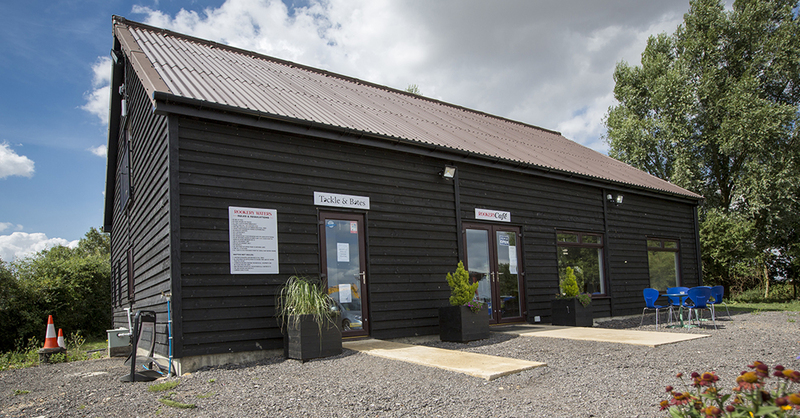 We are not your standard fishery tackle shop, in fact, we pride ourselves as being one of Cambridgeshire most extensively stocked retail outlets, making us one of the hidden gems of the Fens! What do Tackle & Bates have to offer you the angler? Fishing lessons for individuals and groups are available, as well as offering advice on how and where to fish our lakes. Gift vouchers are available in multiples of £5 which we can send them to your chosen Address. 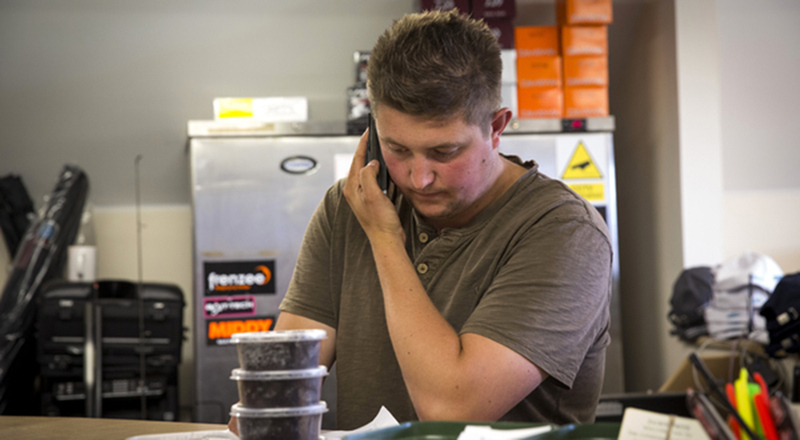 we offer a professional mail order service with fast delivery and dispatch times. To cater to the needs of the visiting match and coarse pleasure anglers, we carry a comprehensive selection of everything you’ll need, to make your days fishing as enjoyable and rewarding as possible. We offer a huge selection of top brands to choose from, including Daiwa, Guru, Drennan, Shimano, Preston Innovations, Maver, Free Spirit, Colmic, Matrix, Frenzee, Garbolino, Rive, Sensas, Browning, Cresta, Gamakatsu and Karmasan. Everything from seat boxes and accessories, rods, poles, luggage, reels, clothing and nets are on display to enable you to buy exactly what you need. We back this up with a huge selection of terminal tackle, including lines, hooks, feeders, floats and many other accessories in store. 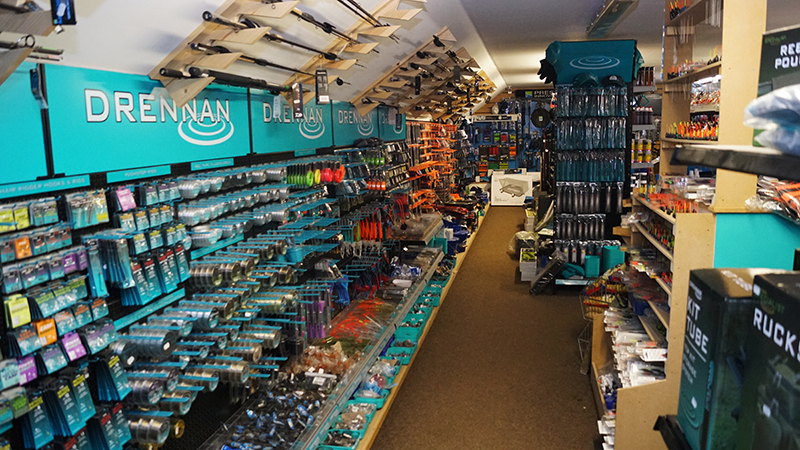 We carry a huge stock of clothing and footwear to suit all styles of angling, including Drennan, Preston Innovations, Matrix, Guru and Daiwa. We have a good selection of sizes to suit all, from small, right through to 3XL. We also have a large selection of branded hats, featuring all the popular brands and logo’s. We stock a comprehensive selection of the top brands available to the UK match and coarse anglers. Currently, we have Ringers, Van Den Eynde, Dynamite, Bait-Tech, Sonubaits, Browning, Mainline Match, Sensas, Boland & our own branded feed pellets, to name just a few, covering everything including all natural and commercial venue requirements. As well s packaged baits, we offer a great selection of live baits including maggots (alive or frozen), pinkies, squats and worms. We are very proud of our casters, and we are constantly turning casters in house, to ensure they’re as fresh as you can get anywhere in the area! For the angler who targets big carp pike and all other specialist species, we’ve also got your needs covered in house. 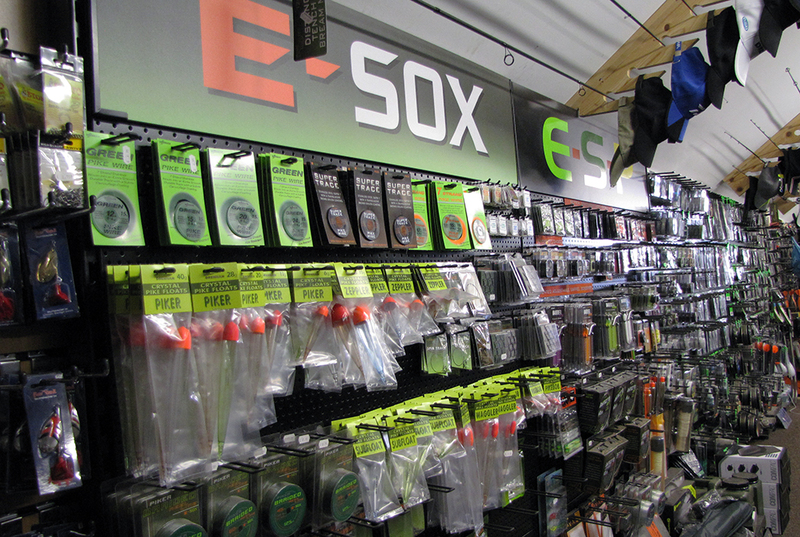 We currently have a great selection of Korda, ESP, Avid Carp, Fox, Daiwa, Free Spirit, Shimano, Nash, Drennan, Savage Gear, Leeda, Ridgemonkey, Korum and E-Sox products. 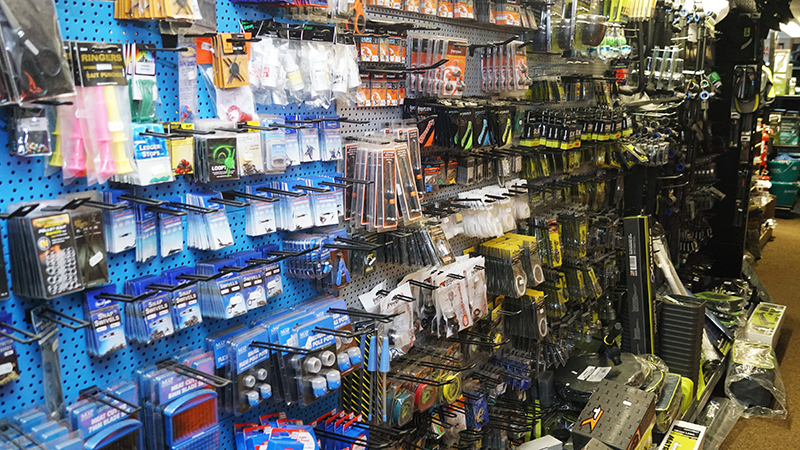 All your terminal requirements are more than adequately covered, with a large selection of hooks, leads, floats, lines, leaders, terminal accessories and for the pike and predator anglers, we stock lures, trace making components, floats and much much more. We also have a good selection of rods and reels from many of the top brands listed, with something to offer anglers of all abilities, no matter what your budget, we will look after you!